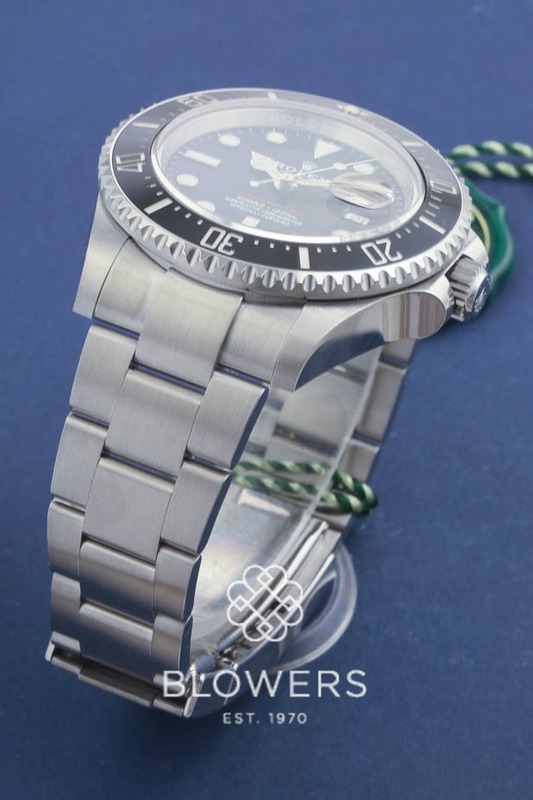 Rolex Oyster Perpetual Sea-Dweller 4000 126600. Automatic chronometer movement calibre 3235 this is a new-generation movement entirely developed and manufactured by Rolex. Brushed and polished steel case 43mm diameter which is water resistant to 1,220 meters 4,000 feet. Black dial with index hour markers. ‘SEA-DWELLER’ in red writing. Ceramic Bezel. Steel Oyster bracelet with safety catch, fliplock and Glidelock extensions. Box and papers dated August 2018. SKU: 3108886. Categories: Gents, Rolex, Sea-Dweller.